Juergen Braunstein is a postdoctoral fellow at Harvard Kennedy School’s Belfer Center where he works on the Geopolitics of Energy Project. 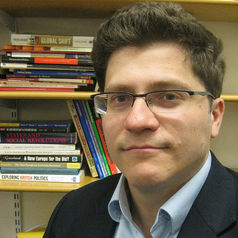 His research focuses on the drivers as well as consequences of the green energy ‘revolution’ for the global energy composition and its implications for existing and future interstate relations. Prior to this he coordinated the New Climate Economy Special Initiative on financing the urban transition at LSE Cities. Juergen is currently finishing a book on the politics and the variation of sovereign wealth (under contract with Michigan University Press). He has a B.A. from the University of Vienna and a masters and doctorate from the London School of Economics.